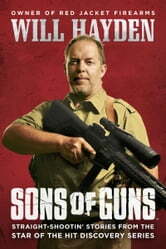 Sons of Guns is the official tie-in to Discovery's hit show starring Will Hayden, founder and owner of Red Jacket Firearms, the Louisiana-based family business which has been called the nation's most unique custom weapons shop. With characteristic down-home wit and wisdom, Hayden tells the stories behind some of the best episodes of the show. He talks about his all-time favorite weapons, what it takes to modify a normal, run-of-the-mill rifle into a world-class work of art, guns in America (their construction, their history, and using them responsibly), and the trials and tribulations of creating a successful family-owned firearms business. If there's one thing folks from Louisiana can do, says Hayden, it's tell a hell of a story. 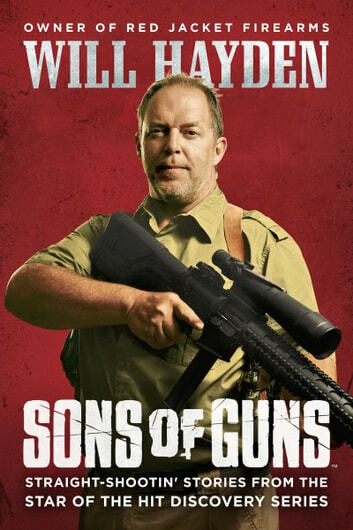 Sons of Guns is the next best thing to sitting around the campfire with Hayden and his crew, listening to him recount his favorites.